The story of Bill Sargent began at age 8, with the family piano and piano lessons. At 10 I switched to the drums and never looked back. Paid gigs began when I was 13 years old. School meant being involved with every possible musical opportunity. I attended with University of Wisconsin Summer Music Clinics for 4 years where I won outstanding awards 2 of the 4 years. I was also a member of the Wisconsin Youth Symphony Orchestra for 2 years. At 16, I left school and started full-time touring nationally with world-famous top professionals. As a bandleader, I lead my first full-time band on the road when I was 19. Later that year I became the musical director for a traveling show. I located in Milwaukee at age 22 and about 2 years later came off the road and began working locally full-time with a couple of primary bands and as a “sub” with about 28 other bands. About 5 years later, I launched Bill Sargent Bands. I was very fortunate to have the world-renown cornetist & vocalist, Bob Schulz, as my mentor and band director from Junior High School through my departure from high school. Later, I was mentored by Dr. James Latimer – University of Wisconsin and Pavel Burda – University of Wisconsin Milwaukee. 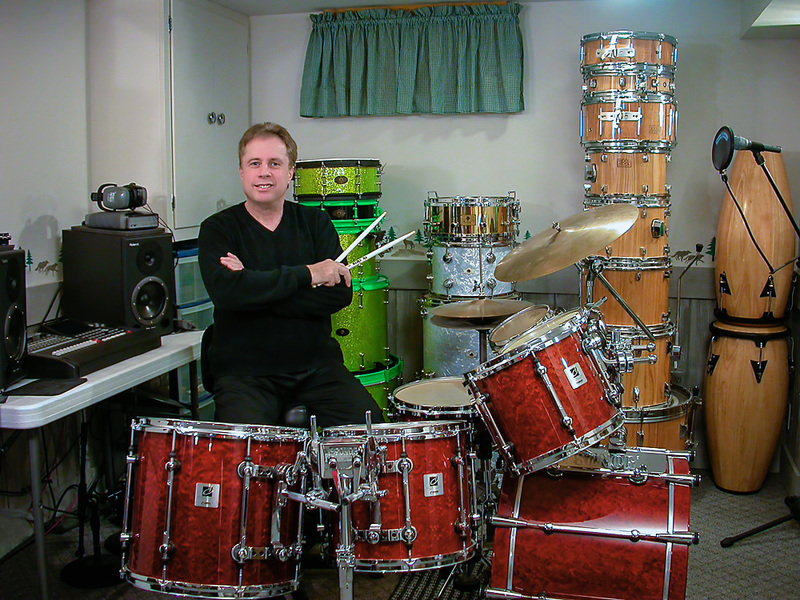 My studies have included lessons with Dave Weckl, JR Robinson, Roy Knapp – “The Granddaddy of Percussion”, Gary Gauger of “RIMS” fame, Casey Scheuerell, Franklin Else and Lance Haas. When I first moved to Milwaukee, I was asked to come to UWM to nail down the drum chair in their jazz ensemble. While there, I studied music full-time at UWM for about 3 years. My most impactful education has come from all the countless outstanding bandleaders and world-famous musicians I have been blessed to work with, observe and learn from. For 7 years, I served as Director of “Drummers for Jesus” – Wisconsin Chapter. For 28 years, I served in the music ministry at Victory International Fellowship in Brookfield, Wisconsin and currently help lead worship with various worship teams in several churches. My service includes the Board of Directors of Unlimited Jazz Ltd and I was the Charter Vice-President of Fundraising for the local Make-A-Wish Foundation. I currently serve as the Chairman of MATC Music and Creative Arts Advisory Board. When my schedule permits, in addition to leading my own band, I perform with other bands and musical artists locally, nationally, and internationally. Outside of my performance schedule, I conduct drum clinics, ‘drumming for worship’ clinics and seminars on various aspects of the music business and success as a musician. I play a wide range of musical genres and occasionally do TV, Radio, and Studios. On a personal note, I am still married to my first wife, Darlene, and yes, she’s an angel. Darlene is an RN and a hospital administrator. We have two awesome daughters; Kim is an Administrative Assistant in Minneapolis, Minnesota, while Jen is a Youth Pastor at Emmanuel Christian Center in Spring Park, Minnesota. I am a portrait and light painting artist with an emphasis on fine art portraiture and light painting. My favorite things are spending time with family, travel, jacuzzis, snowmobiling, ATVs, and chocolate. I love Jesus and the United States of America. Finally, I have an obsession for wisdom and am a life-long learner.